Baggallini Everywhere bagg with RFID, Firework Print | Accessorising - Brand Name / Designer Handbags For Carry & Wear... Share If You Care! 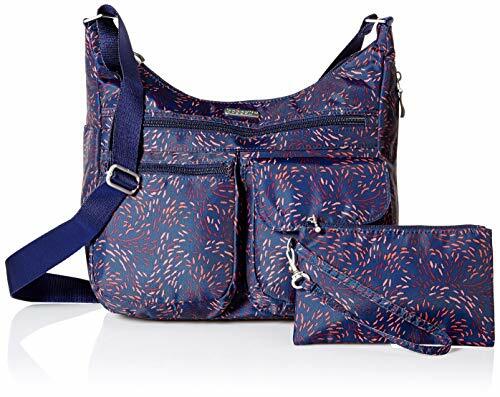 Stay comfortable and organized on-the-go with the Everywhere crossbody bag from Baggallini. Interior credit card slots and multiple pockets keep your most-used essentials ready to go, while an adjustable 52” strap helps you stay hands-free, perfect for travel, or everyday use. Inside, a removable RFID-protected phone wristlet protects your credit cards and ID from being scanned and stolen. Our water-resistant crossbody travel purse weighs just one pound and measures 9” tall, 13.5” wide, and 5” deep. 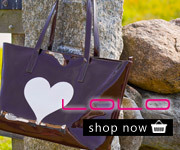 And with a variety of colors and patterns to choose from, the Everywhere bag fits seamlessly into any wardrobe. LIGHTWEIGHT AND WATER RESISTANT: Our water-resistant crossbody bag weighs just one pound and measures 9″ tall, 13.5″ wide, and 5″ deep with a 52″ adjustable strap.